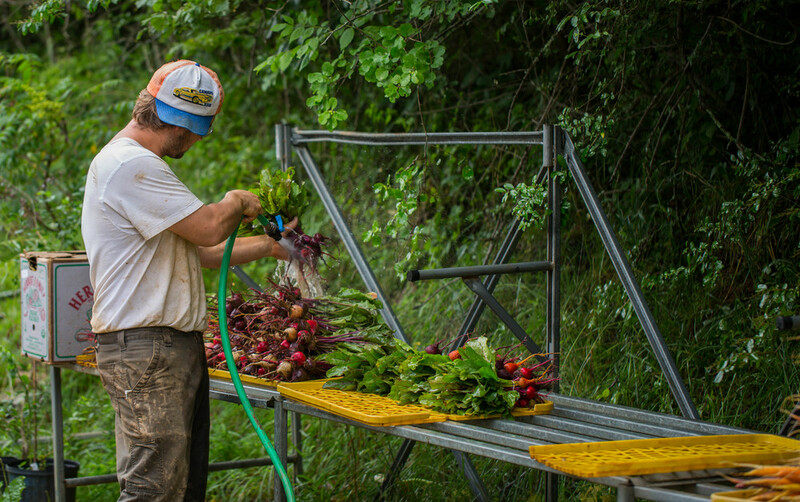 Last summer I spent some time hanging out at Gaining Ground Farm in Leicester, NC. Owners Anne and Aaron Grier offer grass fed beef, organic vegetables, and flowers all grown with respect towards the land. If you're looking for local food grown with love, this is the place. Some of the locations you can find these guys at is the UNCA, and Charlotte St. farmers markets on Saturdays. 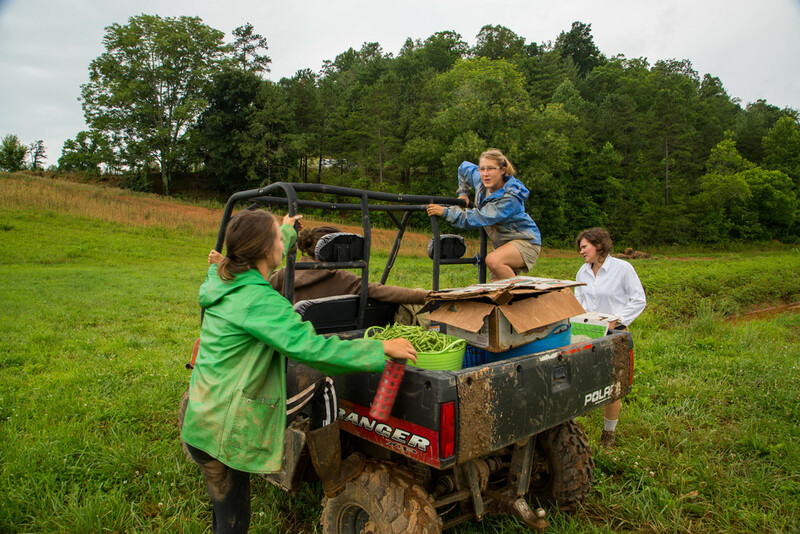 The call for locally grown organic food has steadily been on the rise in the past few years as people become more aware of why it's a good choice. Anyone who's grown their own food knows the benefits of the fresh taste you can't otherwise get. Many vegetables lose much of their nutritional content in the hundreds of miles they are shipped to their destination. By supporting your local farmers, you help cut down on endless gallons of fuel used to ship vegetables across the country. There seems to be a detachment between a persons food and knowing what it took to get to their plate. Getting to know your farmer is a rewarding and important experience. The folks at Gaining Ground are a part of the CSA (Community Supported Agriculture) program which helps build that connection. 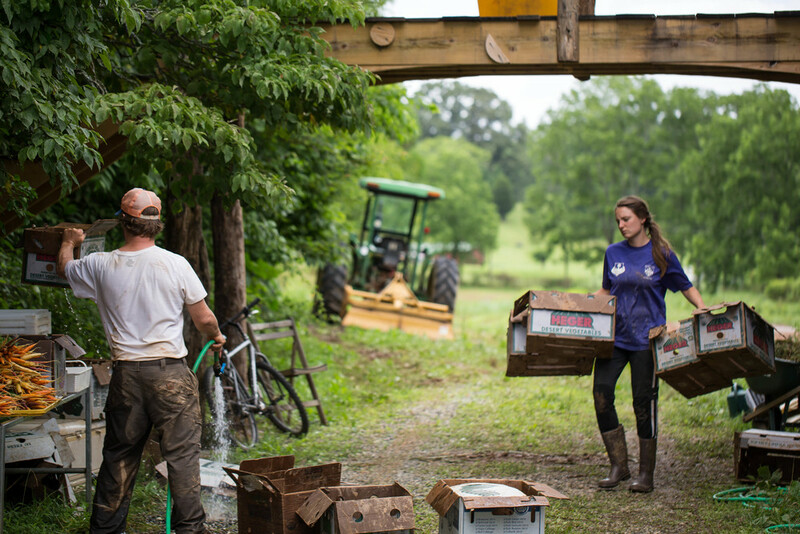 Supporting these small organic farms has other benefits beyond just keeping it local. Every year massive amounts of runoff from large monocropping farms using pesticides and other chemicals are washed intro streams, and rivers where it can disrupt water quality, plant, and animal life.